Come test your speed, wit, and knowledge of all things Valentine. 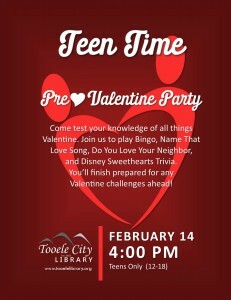 Join us as we play Bingo, Name That Love Song, Do You Love Your Neighbor, and Disney Sweethearts Trivia. You’ll finish prepared for any Valentine challenges ahead!